Many of the problems that lie at the heart of the current financial crisis stem from a significant but little–known development that occurred in the early 1980s: investors changed their investment criteria. This change gave rise to a conflict – a silent war – between executives in charge of the world's largest corporations, on the one hand, and credit agencies whose task it is to enforce the criteria on investors' behalf, on the other. The credit agencies that flourished in New York, London and elsewhere acquired a great deal of power because their ratings now reflected investors new priorities, and so controlled the ability of corporations to gain access to capital. The rise of the credit agencies thereby also represented a new model of capitalism, quite different from the old model of the risk–taking entrepreneur. To attract investment capital, corporations now have to employ enormous resources to create the illusion that capital is directed in line with the new expectations imposed by the credit agencies. The result is that devious reporting on companies' activities has become endemic. 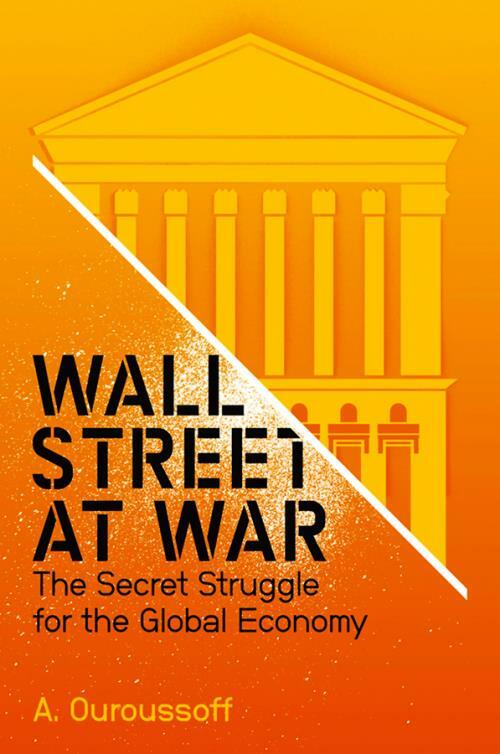 Drawing on more than six years of fieldwork carried out in some of the world's most powerful corporations and credit rating agencies on Wall Street, this short book describes, for the first time, the unspoken conflict that shapes the global economy. Anthropologist Alexandra Ouroussoff describes with startling clarity the effects of Wall Street's silent war: from the financial community's inability to price risk accurately (now recognised as a major cause of the financial crisis) to the deep reasons behind credit analysts' misplaced faith in numbers. Yet the book's most important contribution is its path–breaking analysis of the conditions of the conflict itself, here revealed as an unintended consequence of a much deeper transformation in the conditions underlying capitalism's success. "A crucial contribution to any critical and informed thinking about the strange, transforming, and risky character of global capitalism." "A stimulating discussion of an interesting problem that appears to exist at the centre of modern economy, a discussion that should dispel any lingering doubts that those who manage investment capital have thought carefully about what they are doing." "This is the most original analysis of the financial crisis I have seen. It is a work of economic philosophy supported and generated by an ethnographic method that is both classical and unusually dialogical."